The subset of federal judges who aggressively use summary judgment to prevent plaintiffs from bringing their cases to trial has created a rule that prevents witnesses from contradicting their prior deposition testimony with an affidavit in order to avoid summary judgment. The fairness of the “sham affidavit” rule can be questioned, given that defendants are free to contradict themselves and do not automatically lose the case by doing so. Critics of the rule also argue that contradictions in testimony should be resolved by juries, not by judges. Whatever perspective one might have on the rule’s fairness, it has typically been applied to plaintiffs who are seen as “changing their story” in order to avoid summary judgment. A recent decision from the Court of Appeals for the Eighth Circuit expanded the sham affidavit rule by applying it to an expert witness. Judith Redd had a total hip replacement. The artificial hip was manufactured by DePuy Orthopaedics, Inc. The implant failed about four years later when a component known as a hip stem fractured. When the fractured hip stem was removed, doctors observed that it had not properly grown into the bone at the top of Redd’s hip. Redd’s doctors were aware that Redd was at risk of that complication, given her obesity and her history of taking immunosuppressant drugs. The broken hip stem was replaced. Two years later, the new hip stem also fractured. Redd sued DePuy for marketing a defective product and for failing to warn patients about the risk of failure. Her expert witness was Shankar Sastry, a metallurgist. Sastry had done research into metal failure caused by fatigue, but his research did not specifically address the failure of metals implanted into the human body. Prior to his deposition, Sastry did not review any records relating to the manufacturing process. 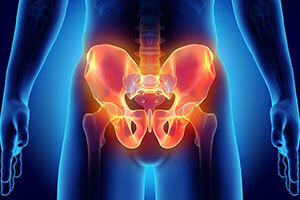 Nor did he consider the failure of the hip stem to grow into the hip bone as a potential cause of failure. Sastry provided a technical explanation for the failure that considered the coarse grain size of the metal alloy from which the stem was manufactured, as well as the kind of lattice (hexagonal close-packed rather than face-centered cubic) used to achieve that density. He testified in his deposition that environmental factors could have contributed to the failure, but that they were probably secondary to the stem’s structure, which he regarded as the primary cause of its failure. According to the district court, Sastry provided a sham affidavit in response to a summary judgment motion that “directly contradicted things he said in his deposition.” The court therefore struck the affidavit. It then granted summary judgment to DuPrey because, in the absence of the affidavit, evidence of causation was inadequate to support the claim. On appeal, Redd argued that Sastry merely clarified or supplemented his deposition testimony. The court of appeals concluded that the affidavit “arguably crossed the line between clarifying prior testimony and changing prior testimony.” The court decided that “arguably” crossing the line was a sufficient basis for affirming the district court’s discretionary decision to strike the affidavit. Sastry had not reviewed DePuy’s manufacturing standards at the time of his deposition. In his affidavit, however, he said that the standards called for a face-centered cubic lattice and that the stems therefore violated DePuy’s standard. On its face, that seems like an opinion based on new information rather than a contradiction. Affidavits based on new information are not typically regarded as sham affidavits. In addition, Sastry’s affidavit stated that the materials used to make the hip stem were defective and that any environmental stresses on the stem were secondary causes of its failure. In his earlier deposition, Sastry testified that environmental factors would have been secondary causes if they created small biomechanical forces, and said that he was unfamiliar with the biomechanical forces that were actually generated. That may be closer to a contradiction, although depriving a party of a jury trial on the basis of a minor difference in testimony that, at worst, impeaches the expert’s credibility is arguably an abridgement of the federal constitutional right to have a jury resolve factual disputes in civil lawsuits. In the end, the court of appeals upheld the summary judgment dismissing the case. The court’s decision is unpublished, perhaps with good reason, since the conclusion that the expert executed a sham affidavit is based on a cursory analysis and supported by questionable reasoning. The lesson for expert witnesses to learn from the Redd decision is that it is very difficult to revise an opinion after a deposition. Since a clarifying affidavit may be viewed as a sham affidavit, it is important for experts to prepare for depositions diligently, and to state their opinions in language that they will not later need to change.